Although the full potential of dynamic routing remains somewhat in the future, the school bus industry is beginning to explore what it means to solve bus routing problems on-the-go and in real-time. Thanks to advancements in technology, such as GPS devices on each bus, traffic sensors, routing software, and vehicle tracking apps such as SafeStop, school districts are realizing the possibilities of making their bus routes more efficient on a regular basis. Decrease time on routes. By linking a school’s bus routes with instantaneous GPS locations of the buses and their assigned students, dynamic routing could improve the way drivers maneuver their daily pick-ups and drop-offs. 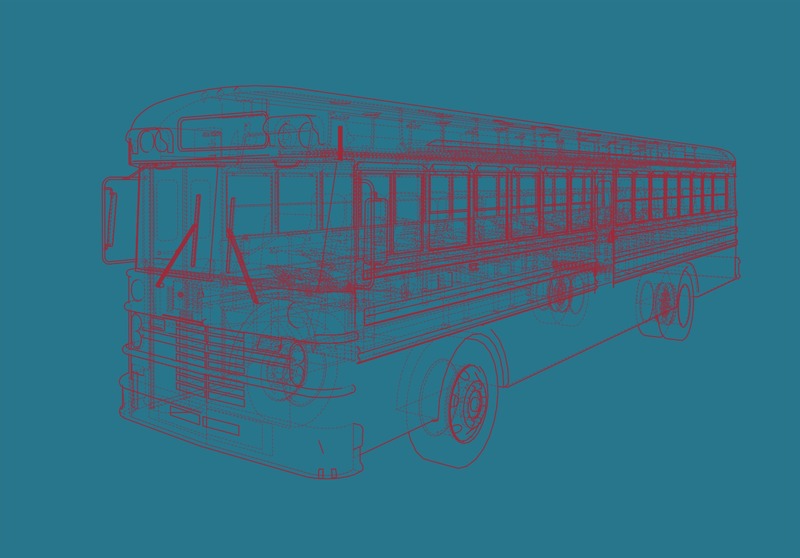 Mobile software coordinates the stops and communicates them to the bus driver over the server. The routes could adapt based on current road construction delays and whether students are absent that day. The stops could also avoid traffic density and decrease the time it takes to complete each route. Reduce the number of buses. Current studies of these dynamic routing algorithms have found that as the number of stops increase, the rate of optimization increases. That means long, complex routes could be reorganized by software in a way not previously realized by the school district and transportation staff. This could lead to fewer buses on the road at the same time, as well as less air pollution. As the software develops, researchers are finding ways to make changes to the routes by hand, exclude “bad” routes (based on school bus driver experience) and include “good” routes that the transportation staff prefers. Ultimately, lower costs. As routes become more complex, transportation industry professionals believe it is inevitable that telematics and professional management will soon be unavoidable. With dynamic routing software, however, it could be easier than ever. As routes become more efficient and the number of buses and driver hours decrease, the costs will drop, as well. In fact, one study found that total distance covered could be improved by 16 percent. With mobile support, real-time routing is possible. School administrators can make sure they’re ready to adopt dynamic routing by signing up for the right fleet telematics now that can connect to routing, GPS, and student information systems for an easy transition later. The SafeStop app already offers information that updates transportation directors, administrators, and parents about the whereabouts of buses and drop-off/pick-up times. As the technology and algorithms continue to advance, dynamic routing will come into play — and there’s no telling what possibilities may come next.